The perfect, multi-use garden accessory! Perfect for getting rid of unwanted leaves, sticks, twigs, grass cuttings and other mess from the garden. Ideal as storing pots and garden equipment in and for composting. Can also be used for growing fruit trees or potatoes in on the patio. Can be easily transported around the garden using the strong grip handles. Made from hard-wearing materials, it's weather resistant and will last for years to come - supplied as a single bag with 45L capacity. 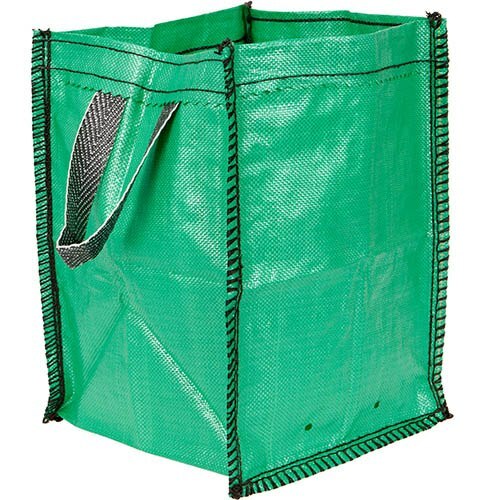 This durable garden tidy bag is great for use all around the garden and for a variety of different tasks! Perfect for getting rid of unwanted leaves, sticks, twigs, grass cuttings and other mess from the garden as well as storing pots and garden equipment in and for composting. What's more, it's perfect for growing fruit trees or potatoes on the patio and can be easily transported around the garden using the strong grip handles. Made from hard-wearing materials, it's weather resistant and will last for years to come. Supplied as 1 x 45L heavy duty bag with strong grip handles. Weather resistant.